This Autumn, the first batch of rapeseed oil from Tipperary-based manufacturer Emerald Oils hit the supermarket shelves nationwide. Michael Corbett is a 3rd Generation farmer from South Tipperary, and last year he took the decision, together with his wife Sinead, to diversify into rapeseed oil production when he founded Emerald Oils. Rapeseed oil is a cholesterol-lowering ‘superfood’ which is as healthy as olive oil, but is an ideal crop for growing in the Irish climate. The Corbetts grow, produce and bottle the oil on their farm in picturesque south Tipperary, in the lee of Slievenamon mountain. They believe that controlling the production of the product ‘from soil to oil’ allows them to ensure that their rapeseed oil is of the highest quality. At the centre of all of this is the Emerald Oils production setup, which is located on their farm. In order to begin farm production, a clean food production environment was manufactured by Kilkenny Cooling Systems and installed on site adjacent to where the raw materials are brought in from the field. The environment contains the entire oil extraction process from incoming raw material to extraction, to bottling and distribution. This large oil production facility is built from white PVC coated Kilkenny insulated panelling, doors and partition walls with factory-fitted viewing panes for light and safety. All surfaces are food safe and easy to clean, and an easily cleanable floor was installed after the panelling to ensure the highest standards remain right throughout the process. In addition to the bespoke processing environment, Kilkenny Cooling Systems also provided the facility with Stainless Steel insulated vessels – ideal for storage of foodstuffs prior to packaging. 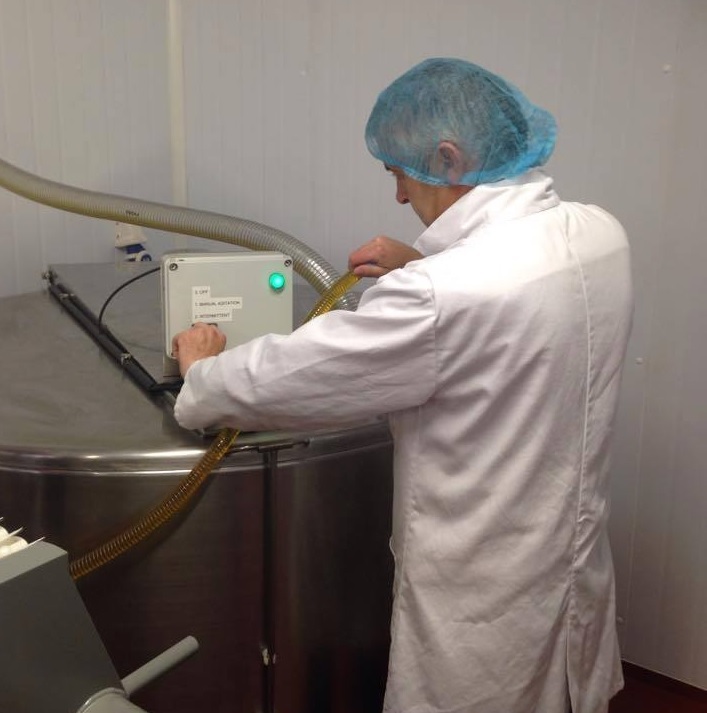 With a renewed focus and interest in food made from high quality locally-produced Irish ingredients, farm-food production businesses such as Emerald Oils, Killowen Farm Yoghurts, Knockanore Cheese and many more who have been supplied equipment by Kilkenny Cooling Systems are thriving. With an in-house design and manufacturing capacity and over forty years experience supplying high quality equipment to the food production industry, Kilkenny Cooling Systems is ideally placed to design and supply process coolers, clean environments and stainless steel vessels to Irish producers.